Studies shown that one in four people do not trust online sellers and will not make a purchase or provide personal information. This number represents approximately 25% of the total online sales market. Visitors are not ready to make a purchase, because your website does not seem to be trustful enough for them. An easy way to fix a security gap is to switch to the https protocol instead of the traditional http. This will allow users to establish secure connection sessions on your site. All data is encrypted, therefore it cannot be stolen or used without permition. This encryption method is called SSL. It provides businesses an effective way to deliver users the added benefit of using the secure website, allow you to accelerate the growth of sales and increase profits. Another important reason to switch to the SSL protocol is that Google announced last year that it’s search engine will give priority to sites with the SSL, i.e. they will receive the benefits in terms of ranking in the SERP. Thus, SSL directly affects SEO ranking. 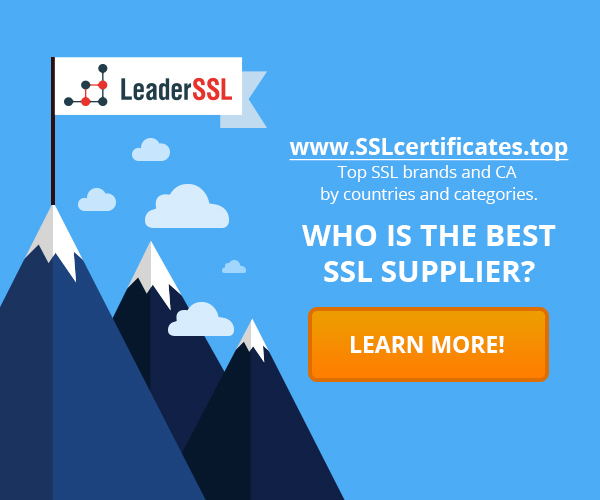 Why SSL-certificate is so attractive? As mentioned above, it is all about the psychology of trust. Many people are not aware how it actually works and the importance of SSL in terms of security, however they do trust the visual symbols. They know that the padlock and https prefix means that the company is strives to protect their data. If they believe that they are secure enough, it will make a great impact on the business in terms of overall trust in your company. How does it correlates with a real world? Assume that your store has no doors, then you can’t issue the receipts to customers, therefore why should they make a purchase from you? Do not make the same mistakes online. Any small thing that can improve the confidence of visitors and increase sales, needs to be implemented on the website. SSL-certificate has the same goal. That is why it is so important in regards to business.